From our home base near Detroit, we help families in Michigan, Ohio, and across the United States secure a future for their birth-injured children. We’ve helped families ensure their children have the financial means to access lifelong treatment, accessible housing, and other important resources, and we fight hard to hold hospitals and medical practitioners accountable for their negligence/medical malpractice. We have an extensive network of attorneys and medical experts all across the United States, which gives us access to the latest information on birth injury law and standard of care in obstetrics and gynecology. 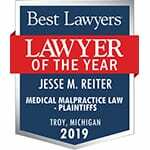 Ohio birth injury attorney Jesse Reiter is admitted to practice in Ohio and in the Ohio Supreme Court. If you live in Ohio – or anywhere else in the U.S. – we’d be happy to speak with you about the events that occurred during your prenatal care, labor, and delivery to help pinpoint the cause of your child’s disabilities. The consultation is always free and completely confidential – your information is safe with us, and you’ll never pay fees out-of-pocket. We only collect a fee if we win your case or obtain a settlement, which means there’s no financial risk involved in picking up the phone and talking to us. Our attorneys have more than a century of collective experience and the drive to keep hospitals accountable. Each year, over 100,000 babies are born in Ohio. The majority of these births go smoothly and result in healthy children. Unfortunately, even with cutting-edge medical facilities, complications and medical errors occurr and a number of these children are born with birth injuries such as cerebral palsy (CP), hypoxic-ischemic encephalopathy (HIE), and neonatal seizures. Complications that arise during the delivery of a baby can be frightening. Mothers trust their obstetricians, nurses and other healthcare providers to identify these complications and treat them quickly to ensure the safety of both the mother and baby. Sometimes, however, mistakes can happen and the baby gets injured. That’s where we come in – helping your family secure your child’s care. While we handle all types of birth injuries, we focus on Ohio cerebral palsy cases and Ohio HIE cases. Often, it may initially be unclear whether a child has experienced a birth injury or not, and whether or not malpractice was involved. If your child has a disability, and you suspect that it may have been caused by medical negligence during or around the time they were born, please feel free to call us anytime for more information on what may have occurred. Our Ohio birth injury lawyers can review the medical records and determine what happened. The following conditions may indicate that a birth injury has occurred, or increase the risk of a birth injury occurring. If you have noticed any of these issues, it may be worthwhile to investigate the causes of your child’s disability. The award-winning Ohio birth injury attorneys at ABC Law Centers have helped children across the country affected by hypoxic-ischemic encephalopathy, cerebral palsy, and other disabilities. Our firm focuses solely on birth injury, which means that we have a thorough knowledge of the complex medical and legal aspects of these cases, plus top-notch medical, economic, and forensics experts at our side. 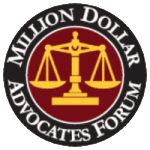 Contact us anytime to set up a free, no-obligation case evaluation, during which you can speak to an attorney about your options for pursuing a case. You pay nothing throughout the entire legal process unless we win.